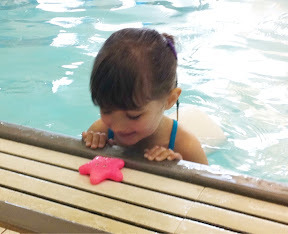 We are currently at the third week of swimming lessons. This week is much better than last because the pools heater is now working. Alyce seemed to enjoy herself more than in other classes. Like normal she is slow to warm up to something but once she is comfortable she is very willing to be part of the group. Alyce still isn't a fan of getting splashed and with a class full of boys it happens a lot. Maybe some goggle would help her. I figure she'll grow out of that in the future. Coinciding with that is Alyce is very reluctant to put her face in the water. 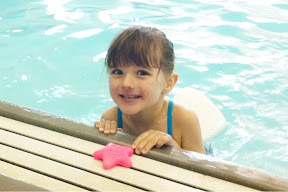 0 comments on "Swimming Lessons Week 3"